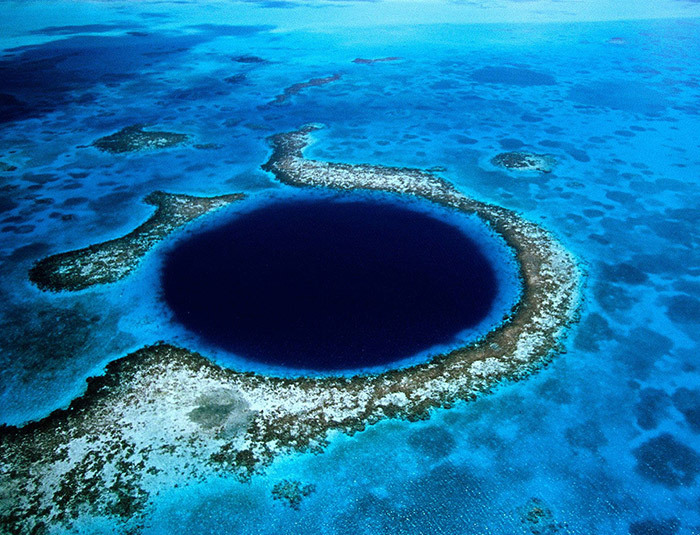 Located off the coast of Belize within the Lighthouse Reef Atoll, the Belize Blue Hole is a perfectly circular underwater sinkhole. What was previously a limestone cave system, is now one of the most unique natural creations known as the Belize Blue Hole. As sea levels rose during the last Ice Age, the cave flooded and its roof collapsed into this sinkhole resulting in a marine wonder known for its sparkling blue waters, wealth of coral formations, sharks and fish, and deep caves filled with stalactites. 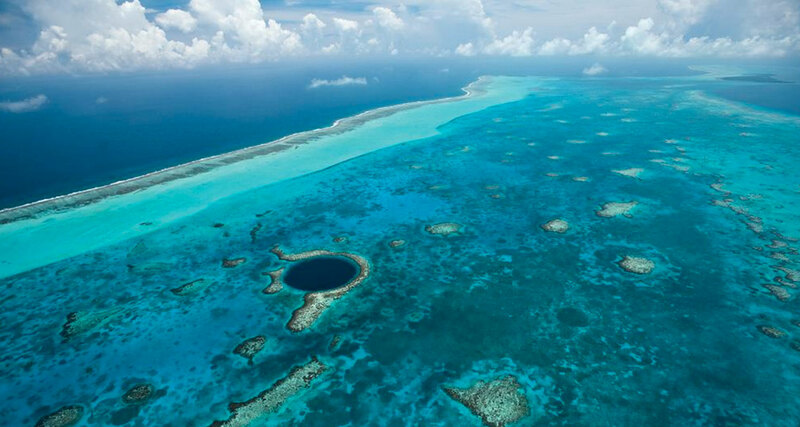 Check this off your bucket list as you dive the Belize Blue Hole in Lighthouse Reef Atoll! A rare and wonderful dive, the Great Blue Hole is a perfectly circular hole surrounded by coral edges and filled with stalactite and limestone cave ridges to depths as deep as 400 feet. Lighthouse Reef is known for its breathtaking deep walls and crests, sand flats, coral gardens including soft coral, and sponge gardens with a variety of topography including some spectacular spur and groove formations. There is also a great mix of large pelagic and small reef creatures. This is a place where you can expect a mixture of large and small animals from flounders and neck crabs to turtles, sharks, and rays while diving. Also on Lighthouse Reef Atoll is one of Belize’s largest protected areas and national parks, Half Moon Caye Natural Monument. Home to both shallow and deep waters, it is possible to snorkel and dive. This 3-tank dive trip is 50 miles offshore and is the furthest from the mainland. Since the Belize Blue Hole dive requires a minimum depth of 100ft, only certified advanced and experienced divers should attempt this dive. Due to the depth of this dive, bottom time is limited at about 8 minutes and good buoyancy skills are required to do the mandatory safety stop. If you are a certified advanced diver, but do not have any dives logged recently, you might be prompted to do a refresher dive where the dive master will monitor your abilities and how your body reacts while diving in deeper water. He/she will then determine if you are able to participate in this dive. For those interested in snorkeling, the Great Blue Hole and Lighthouse Reef Atoll Tour can also be offered as a Snorkeling Tour. The Great Blue Hole and Lighthouse Reef Atoll Dive Tour is included in our Ultimate Dive Package.